Our original, all plant type formula is an all-natural, organic certified, compost extract that feeds the soil vital ingredients that are missing from traditional fertilizers. Healthy plants require healthy soil and it takes more than N-P-K fertilizer to build healthy soil. This product supplies minor and micro-nutrients, trace minerals, humic acid, kelp and beneficial microbes to build balanced, fertile soil. 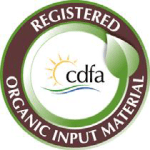 That is why growers for Dole Foods, Del Monte, Blue Diamond, Sunkist, Anheuser-Busch and many others use more of our compost extract and less fertilizer to ensure the most robust plant health possible. One quart of this concentrate will make eight gallons, equal to 64 pint-sized feedings. Supplies a broad spectrum of minor and micronutrients. Ensures healthy start for new plants. Fertilizer efficiency – works better so you can use less. 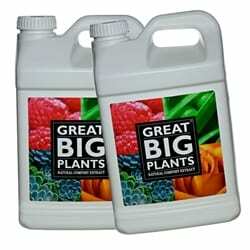 Why do I need Great Big Plants Natural Compost Extract? New plantings arrive in soil that is severely lacking in beneficial microbes, micronutrients and bioavailable carbon. This significantly reduces your plants’ ability to absorb nutrients and makes the soil more susceptible to disease. Our natural compost extract inoculates your soil with beneficial microbes and bioavailable carbon and micronutrients in the root zone for immediate plant benefit. Use our natural compost extract to minimize transplant shock, growth lag time and new plant mortality. Mature plants, trees and shrubs continuously consume the soil’s supply of carbon and micronutrients. Untreated, this not only creates a deficiency that degrades plant health, but also upsets the soil ecology leading to poor water retention, fertilizer leaching and increased disease pressure. 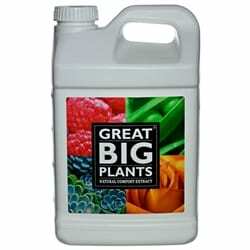 Use Great Big Plants Natural Compost Extract to replenish your soil to ensure new growth, blossoming and hardiness. 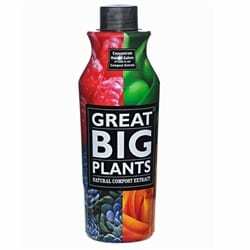 Great Big Plants Natural Compost Extract provides benefits in many ways. It is designed to improve the soil where it matters most – in the plant’s root zone. It flows to the root zone upon application where it establishes and/or replenishes the population of beneficial microorganisms, provides trace amounts of major nutrients, dozens of micronutrients and minerals, and provides carbon (in the form of humic acid) as a food source to new and existing microorganisms. Humic acid also helps the plant uptake micronutrients and improves the soil’s carbon to nitrogen ratio, thereby helping the plant uptake nitrogen. Kelp is known to be a microbe food and a source of micronutrients and is believed to be a source of plant growth hormones such as gibberellins, cytokinins and auxins. Combine our Great Big Plants Natural Compost Extract with water at the rate of one ounce of concentrate per quart of water. Use one pint of mixture per medium sized plant. Drench the soil around the base of the plant or use as a root dip for new plantings. (see below) After the initial drenching or root dip it is best to apply our Natural Compost Extract twice a month during the growing season and monthly thereafter. One quart will make 8 gallons of ready-to-use liquid compost, equal to 64 pint-sized doses. Use less on small plants and more on large plants, shrubs and trees. 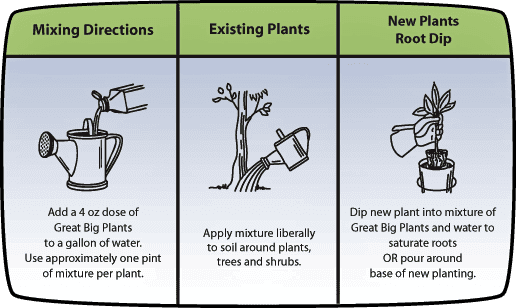 It is okay to add traditional N-P-K fertilizer to the soil at the same time, but we recommend using a little less than usual. Yes, it really does work. 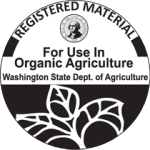 Shortly after we introduced it to home gardeners, Great Big Plants Natural Compost Extract was tested by the National Home Gardening Club and awarded status as a recommended product. In addition, this product formula has been used for 20 years by commercial agricultural users who have subjected our products to numerous field trials and tests before purchase. Recent independent, university conducted testing showed significant plant mass increases when Great Big Plants Natural Compost Extract was applied. Testing was done on bell pepper plants and basil plants. Pepper plant dry weight mass increased 28% when our compost extract was used versus soil alone, 31% when combined with fertilizer versus soil alone and 20% when combined with fertilizer versus fertilized soil. Basil plant dry weight mass increased 35% when our compost extract was used versus soil alone, 71% when combined with fertilizer versus soil alone and 53% when combined with fertilizer versus fertilized soil.